My baby boy is now TWO. It has certainly been the most challenging two years of my entire life - and yet, surprisingly, also the most rewarding. Two years ago, when Aiden made his grand debut that shook my family to its core, I had absolutely no idea how much I was capable of. I had dreams and ideas about the kind of mother I wanted to be - would be - but no concrete evidence that I would ever live up to my expectations. Oh - but look at me now! I've experienced the deepest pain my heart has ever endured, felt it crumble into a million pieces right inside my chest, then glued it back together piece by piece - slowly, steadily, and with the support of many. I've been challenged and tested - as a mother, a friend, a daughter, a wife - and feel on top of the world with how things have turned out. My emotional wreckage has found calmer seas and bright blue sunny horizons. Whereas I once questioned what I was going to do with my life, I now have a deep and clear understanding of where I am going. Most of all, I have SURVIVED! And I owe it all to my boys. I am so abundantly blessed to be Aiden's mommy and so hopeful for his future. Every day that goes by I am reminded of all that he has helped me overcome - and become. You know when people say their children are their inspiration? Yeah, I get it. Happy Birthday Aiden! What a gorgeous and strong little 2 year old you are. 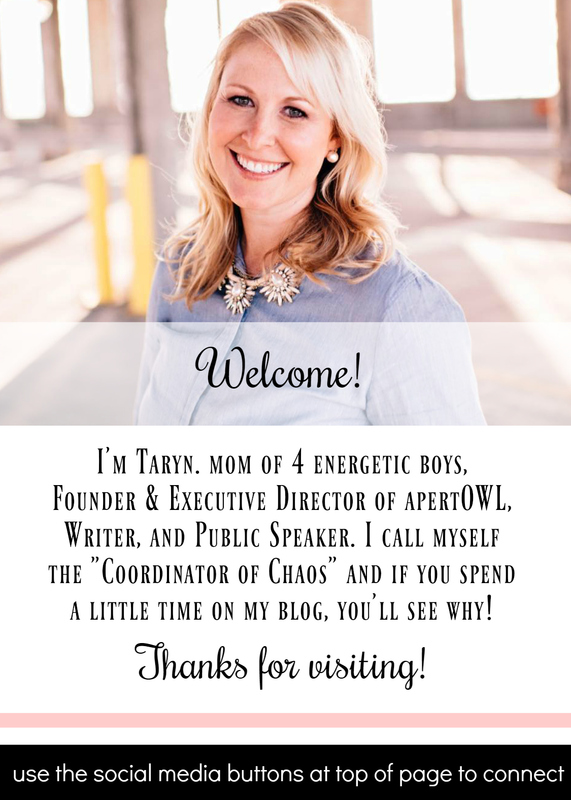 Love your words Taryn, you are also an inspiration to me and many others.